Plants are a major source of many drugs. Penicillin for example, comes from mold and paracetamol from Coal Tar. Even many of the most effective cancer drugs are derived from plants. Not everyone however, is sold on the idea of using these plants for their beneficial properties, before they are converted into tablet or other forms. But this does not stop 33-year-old Princess Cosbert from tapping into nature’s very own pharmacy. In fact, she believes that she is the living proof that plants, more specifically herbs, can cure any disease, even Cancer! You see, four years ago, Cosbert – a cosmetologist became ill. Her hair started falling and she became thin. Within a matter of weeks, her health deteriorated rapidly. She became so ill that someone had to bathe and feed her. The mother of one was taken to the hospital and it was after a few tests were carried out, she had been told that her illness was suspected to be cervical cancer. She was also experiencing all the symptoms of this deadly disease. Devastated by this news, the former cosmetologist visited three other doctors who all suggested that her illness was cervical cancer. To confirm this, they told her that she needed to do a biopsy. “I refused to do the test because I only heard I might have cancer and I was so worried and scared so if they confirmed it, I know I would be worse off,” Cosbert recalled. Some of the natural remedies she used include: Moringa, Tulsi, lemon leaves, teasam and garlic. “After I used these things, I notice I started feeling better and when I felt like my old self again, I went and I did the test,” she said. The mother of one recalled that when she received the results, tears ran down her cheeks. It showed that she did not have cancer of any kind. “I was a cosmetologist but that moment I heard I didn’t have cancer, right away I wanted to help other persons beat cancer. While I am not sure I had cancer, all the doctors told me it was suspected cancer and they all seemed convinced it was cancer,” she said. Having had such a close encounter with cancer, Cosbert has now turned her experience into a small business, called Nature’s Finest, to help other persons. She runs a small herbal business and sells herbal tea, health bars and herbal supplements. 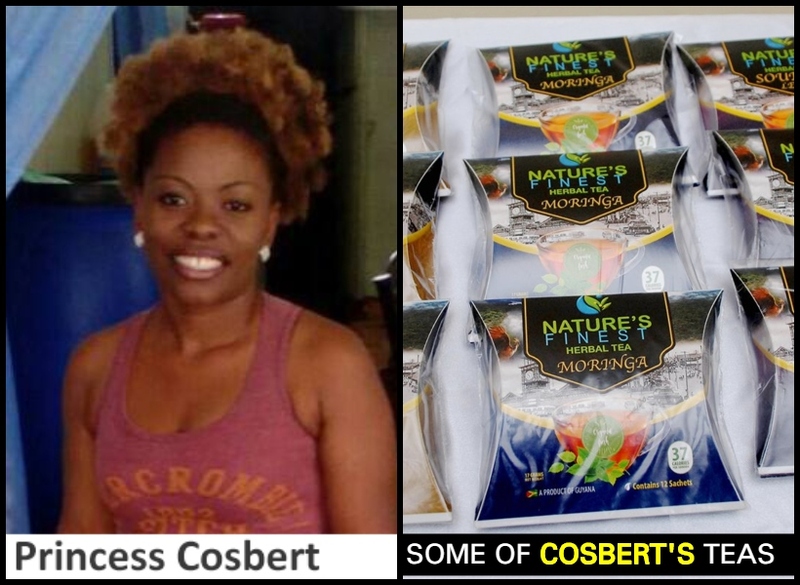 Cosbert makes tea out of Moringa, teasam, soursop, ginger, garlic among other herbs. This is incredible. Can I have contacts for this lady. Her story is powerful might help me also.